The TrekDesk treadmill desk has been featured on news programs across the United States and internationally. Watch the TrekDesk treadmill desk in action by scrolling through the many pages of videos below. Watch how employees workout at work and improve their mood, boost productivity, enhance health and prevent disease by walking slowly at their desk daily. No sweat! Dee Rubina of FiltersFast.com uses TrekDesk treadmill desk to stay healthy and help others. With workout at the office an emerging trend for employees AOL's Morning Rush covers the health benefits of the TrekDesk Treadmill Desk and the distinction of movement vs exercise. Why is exercise with a TrekDesk treadmill desk catching on at work? Fox&Friends explores this growing trend and illustrates the distinction between walking slowly while you work and a cardio session at the gym. What is health and productivity like using a TrekDesk treadmill desk from www.trekdesk.com? Dee Rubina explains here amazing weight loss success story and the initiative she founded to help the less fortunate around the world. 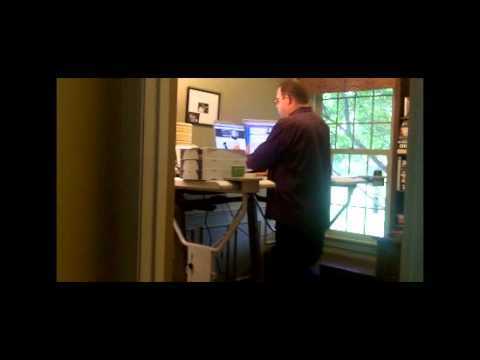 Jay Baer of Convince & Converty expalins the ins and outs of his TrekDesk treadmill desk. CBN focuses on the negative health implications of sedentary lifestyles. Reports on the TrekDesk treadmill desk. 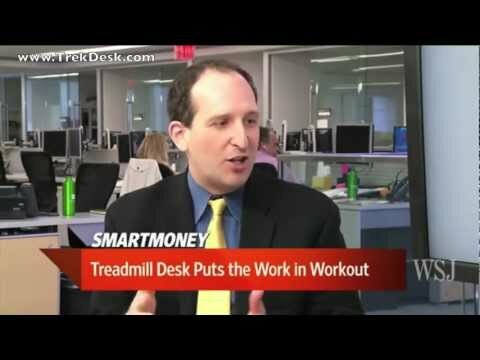 Clayton Morris of Fox News interviews the CEO of TrekDesk Treadmill Desk Steve Bordley. Jill Weisenberger, a registered dietician, shows how easy it is to use a TrekDesk Treadmill Desk while you work.